Thursday | April 27, 2017	Chocolate-y Times with Bakerzin There are plenty of reasons to celebrate your birthday, your friend’s birthday, your family’s birthday or even festive get-togethers with Bakerzin range of Chocolate Cakes. A premium fine purveyor in artisan sweets, the choice of cakes from Bakerzin will never be a let-down! Using specially selected blend of Valrhona chocolate, combined with a mastery of skills from dedicated and committed pastry chefs, the final product gives all our customers oomphs and aahs, translating into a good satisfaction. A smorgasbord of Bakerzin Chocolate Cakes, from Chocolate Amer to Tiramisu, Foret Noir to Decadent Chocolate Cake, each flavour definitely wins you over. For days when you want to indulge and relish, Decadent Chocolate Cake is your perfect choice. On days when you simply want to have it simple with your friends for a meal, Chocolate Amer, the real deal Chocolate Cake, one mouthful reminisces the good times spent together. Especially to celebrate anniversary with your partner, Tiramisu, in Italian, means ‘pick me up’ or ‘lift me up’, can warm your heart on this special day. Not to forget, Foret Noir, a chocolate almond sponge cake soaked in kirsch and layered with chocolate mousse, brandied cherries and whipped cream, this is for the bold and adventurous. On any other ordinary days, your best bet will be on any of our range of Chocolate Cakes, need we say more? Chocolate makes one happy, simply there is a chemical that causes the release of serotonin into the brain, tryptophan, found in chocolate! But do you know? There is more than one chemical found in chocolate which lifts your mood! 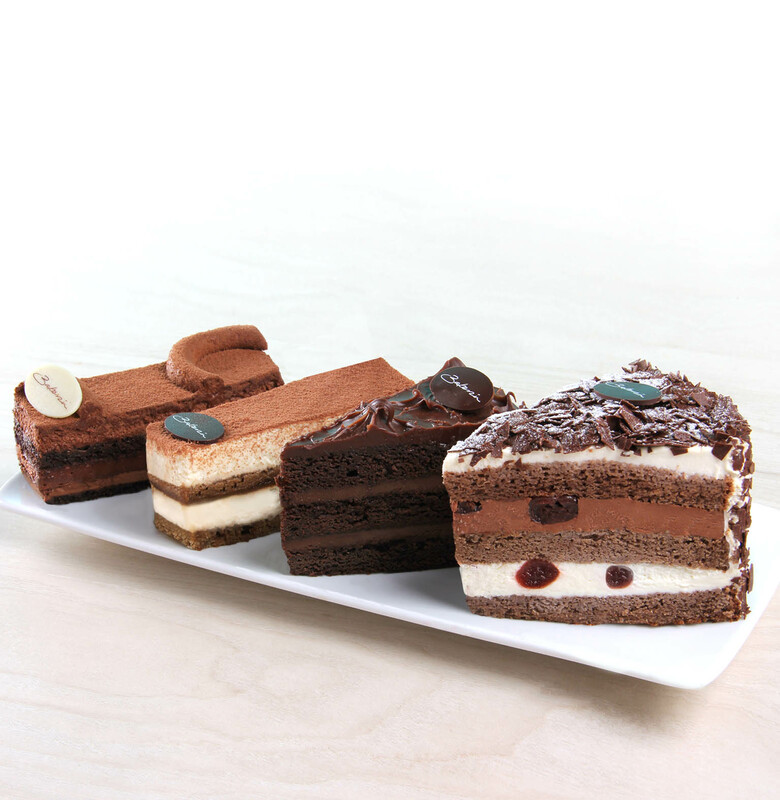 Now, you have an extra reason to relish, indulge and be satisfied with Bakerzin’s range of Chocolate Cakes.